I often buy crochet magazines and of course I save them all. This is much to my partner’s amusement as I regularly call him a Womble for not being able to part with anything. In one of the early editions there is a pattern for an open work wrap around top. I’ve been wanting to make this for quite some time as it looks soft and easy to wear. With my current post baby body I am always looking for non-clingy but pretty clothes. I took a chance and ordered some yarn off eBay and I now have 500g of merino wool yarn for only £25.00. I though that was a good price. I’ve got my hook and my pattern and a few evenings in front of the TV these days. So here’s hoping I end up with something quite wearable. 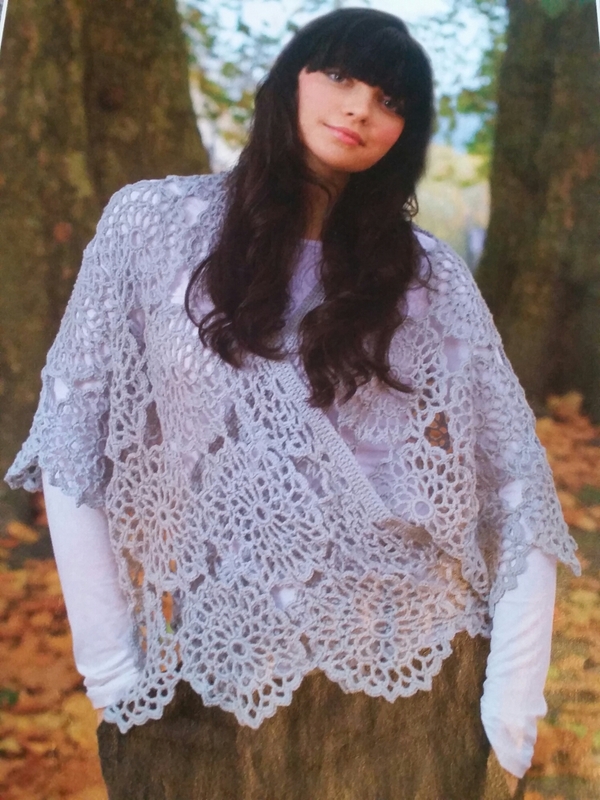 This entry was posted in Uncategorized and tagged crochet, jumper, merino, wrap by tanyakate. Bookmark the permalink.